The Illinois Planners4Health task force convened in an effort to carry on the work of the three Plan4Health coalitions in the preceding years. The task force consisted of a representative from each of the Plan4Health coalitions and emphasized diversity in terms of geography and discipline. The task force embarked on an assessment to inventory existing efforts and a survey to gauge interest in the topic of integrating health and planning. The survey received 259 complete responses, 38 percent of which were from APA members — one indication of the broad reach of the survey. The survey was designed to assess current efforts as well as gauge interest in the topic of integrating health and planning. Gathering data for the Plan4Health project in Bensenville, Illinois. Photo by Elizabeth Hartig. For example, the most common “completed or current initiatives” were: ADA compliance, comprehensive planning, walkability, and use of health data. The highest-ranking topics that respondents were interested in learning more about were: health in all policies, health impact assessments, and use of health data. The survey also asked specific questions about the individual’s interest in the topic versus their organization in order to assess capacity. The survey results provided a good snapshot of the ways that APA's Illinois Chapter may support early adopters of health and planning initiatives to get more organizations comfortable tackling such programs. 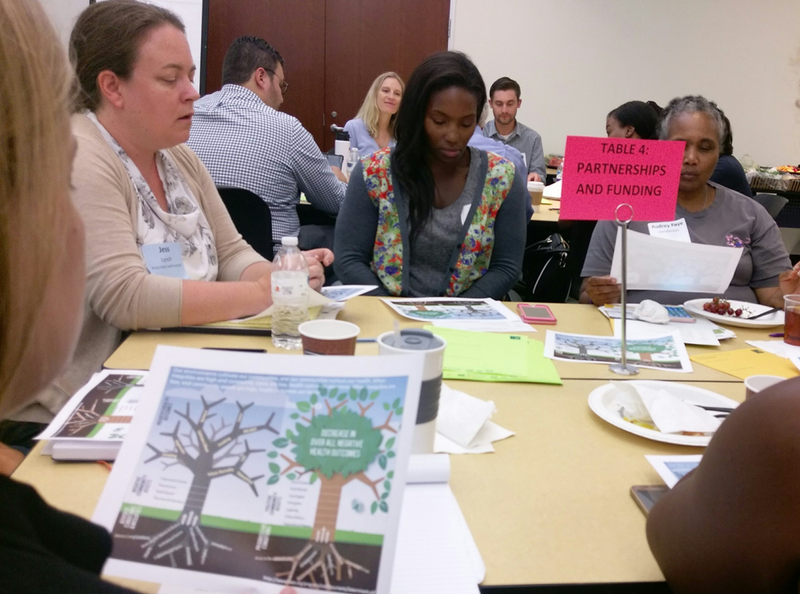 In July 2017, the chapter hosted approximately 70 professionals interested in integrating the fields of health and planning through the Advancing a Healthy Community Workshop. Attendees participated in small table conversations based on topics lead by subject matter experts. Attendees represented various levels of government, nonprofits, consulting firms, community activists, and public health departments. Small group discussions during Illinois Planners4Health Roundtable. Photo courtesy Illinois Planners4Health Task Force. The conversations ranged from transportation to health impact assessments. One goal of the workshop was to identify roadblocks to this work and ways that the chapter can reduce them. There was some consensus on these road blocks including lack of political will, funding, difficulty with attaining or using data, or a lack of institutional knowledge that has so far prevented them from creating health conscious plans and programs. The event aimed to bring practitioners to the table to share ideas and insights on how they may have tackled these issues. In addition to small table discussions, there was a resource library available to participants. 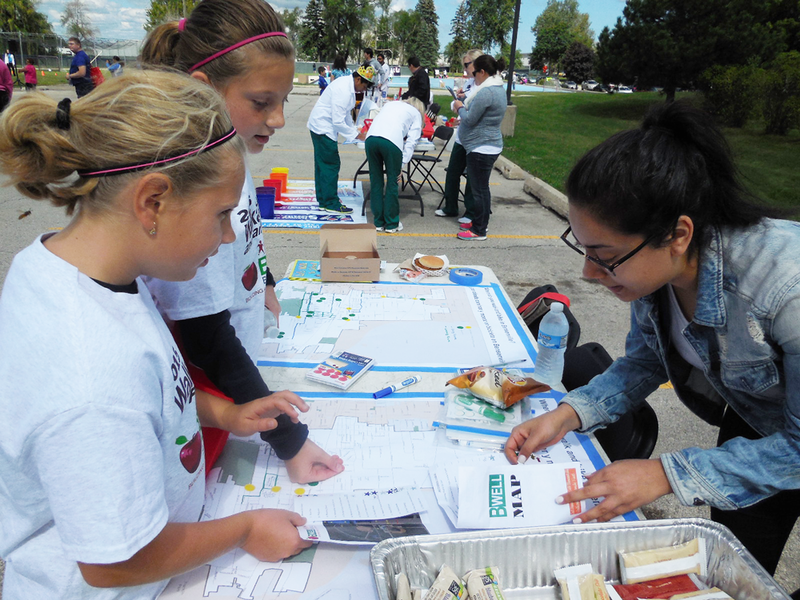 The resources provided examples and case studies in public health and planning programs. Participants left with new ideas to implement health based planning strategies as well as new connections to foster partnerships. Based on the assessment and the roundtable, the task force decided that the most helpful deliverable to come out of Planners4Health would be some sort of “infrastructure” to facilitate idea-sharing and to connect practitioners. The result is a microsite with a forum feature that will be linked from the APA Illinois Chapter's website but also have its own branding. The forum feature will be password-protected and moderated to ensure a high quality of information. Feedback on the site’s features will be captured at two gatherings — our annual fall conference and at a focus group aimed at external partners. The site will be designed to be easy to use and impactful as a “one stop shop” for the integration of health and planning in Illinois. Top image: Planners4Health roundtable in Illinois. Photo courtesy Planners4Health Illinois Task Force. 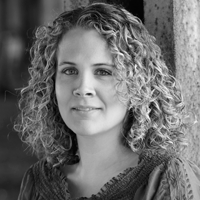 Courtney Kashima is a planner and small business owner of Muse Community + Design in Chicago.